Breather, a provider of on-demand, flexible workspace, continues to expand throughout New York City offering meeting spaces to the TAMI sector and corporate users. The company opened two new locations in New York City at 135 Bowery, its 100th location, as well as 576 Fifth Avenue. Breather has set up four flexible meeting spaces at 135 Bowery that allow for tenants in the building and those in the surrounding area to book on an hourly basis or by the day. The company occupies the entire fifth floor. 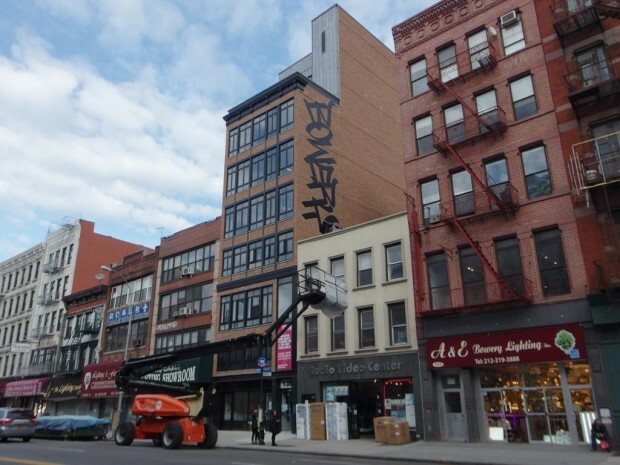 135 Bowery, which completed construction in 2015, was recently covered in artwork by street artist Faust. “We have customized 135 Bowery to accommodate high-end creative tenants and have gained lots of traction with our buildings’ boutique floor plates,” said Tim Shopa of Caspi Development. The 576 Fifth Avenue location sits on the corner of Fifth Avenue and East 47th Street in Midtown’s Diamond District. Breather occupies 1,290 s/f of a partial floor within the Class A building with three meeting spaces available for booking via Breather’s app. “Because of Breather’s high quality design, its space is a welcome addition to our building offering another strong tenant to a diverse tenant roster,” said Jordan Brill of Real Estate Equities Corp. The appeal of creative work space is picking up momentum as companies gravitate towards nontraditional offerings such as lounge-like areas and less formal conference rooms. Breather has more than 250+ spaces across 10 global markets, providing a meeting room solution for the mobile workforce.